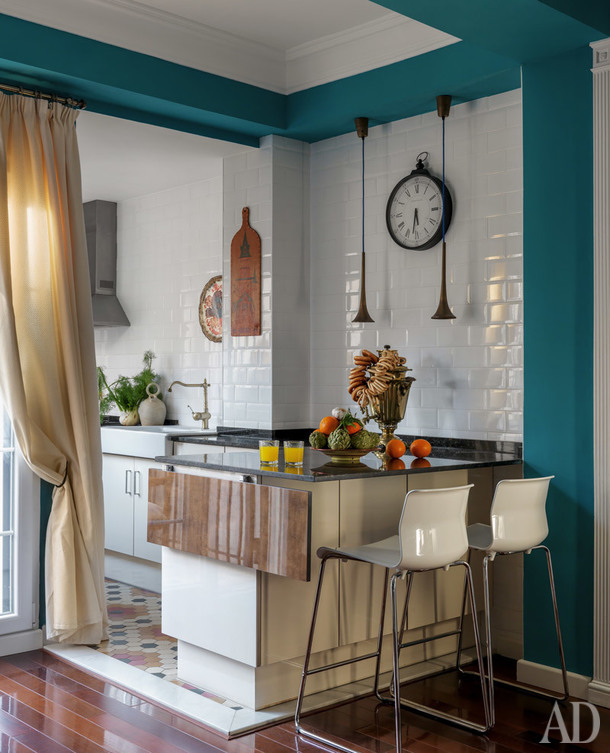 Spain and Russia Happily Married in This Valencia Home - ¡Colour Your Casa! 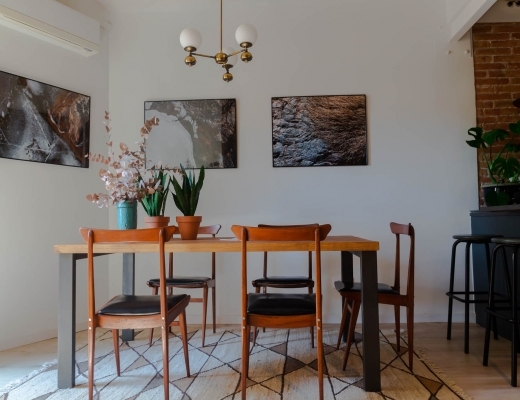 I saw this flat on AD Russia, and instantly wanted to share it with you guys. 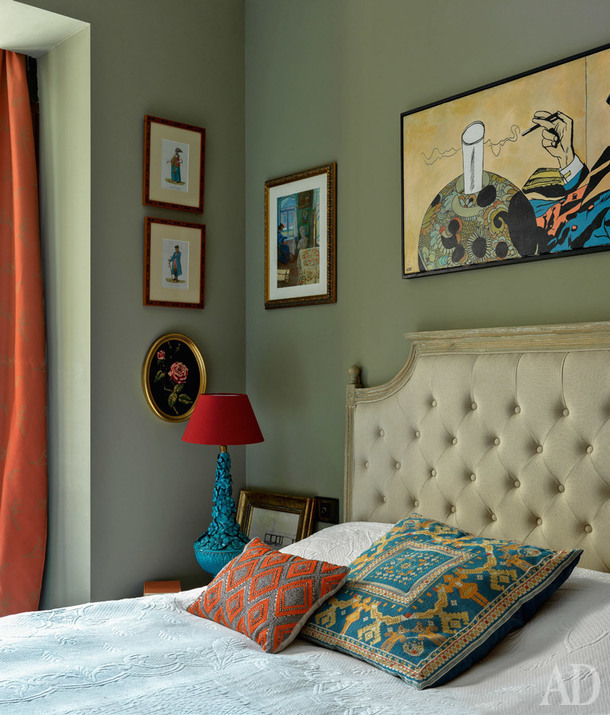 It’s eclectic, very boldly playing with old and new, and draws from the two design traditions I personally can relate to the most – Spanish and Russian. 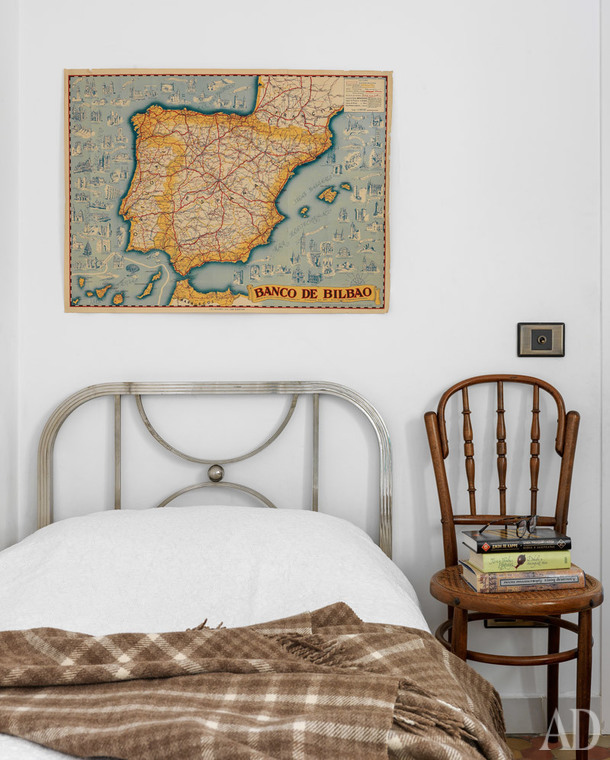 Olga Komarova, interior designer from Moscow, married into a Spanish family, and when they needed to renovate an old apartment in Valencia inherited by her husband, she became excited with the idea to give her Valencia home an unmistakably Russian vibe, and so she did! 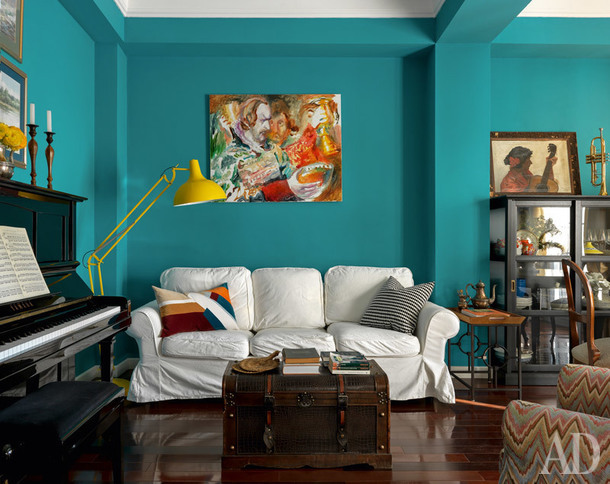 A slightly nostalgic and retro charm of the open kitchen – living room is well-matched by contemporary design elements and the vibrant aquamarine wall which provides a perfect background for an eclectic mix of textures, materials, and styles. In a darker space, this hue, traditional for Russian manor houses, could look too dramatic and intense, but this place counts with enough natural light to pull it off. The furnishings are a mix of old and new, Spain and Russia. 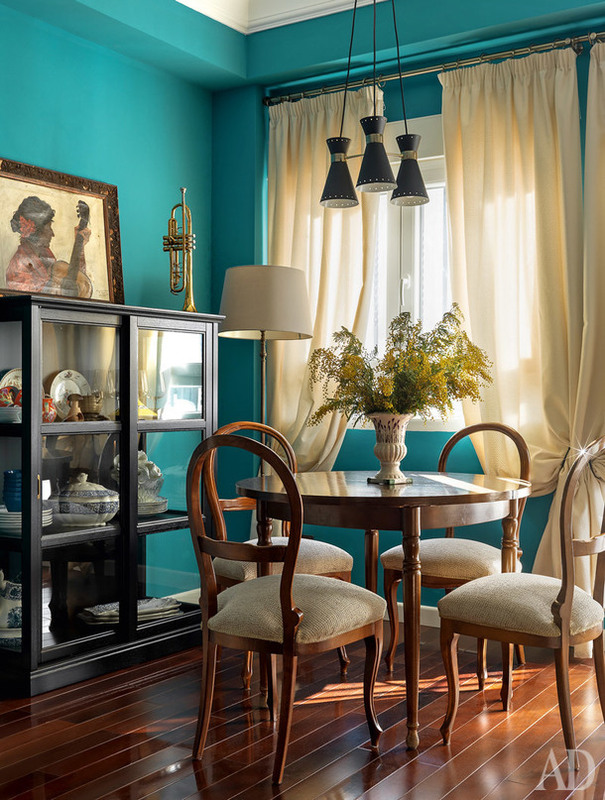 The dining table and a bronze chandelier lamp are family heritage. The Russian samovar is complemented by a traditional Spanish botijo jug. The flat also had some original design elements like mouldings and hydraulic tiles on the floor, which were replaced with parquet flooring. We Russians are used to wooden floors, but the old tiles also found a new life as “rugs”, as you can see in the kitchen. Russian presence is also transmitted through artwork. That includes several works of Iosif Pavlishak, a renowned Soviet artist, who depicted provincial life. 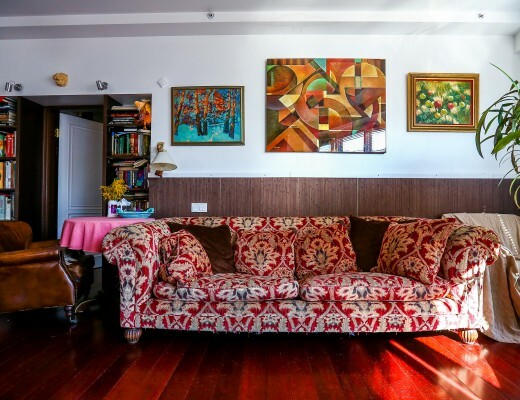 The family bought them while living in Kaluga (Russia), and then brought their collection over to their new Valencia home. And again, I just love how eclectic is this place! 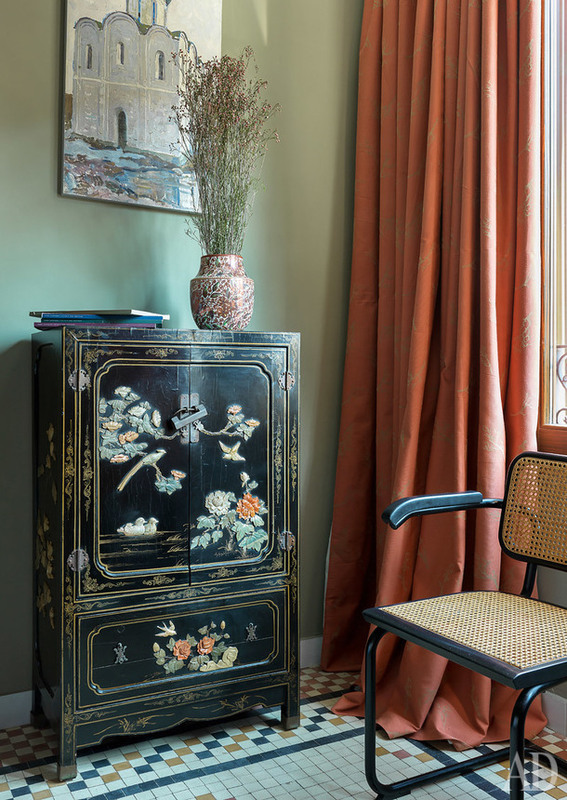 An antique Chinese cupboard, Russian painting, and Spanish mosaic floor are a perfect mix, aren’t they?! And there is also a Manises lamp, an iconic Valencian design, remember how I turned a Manises vase into a lamp? 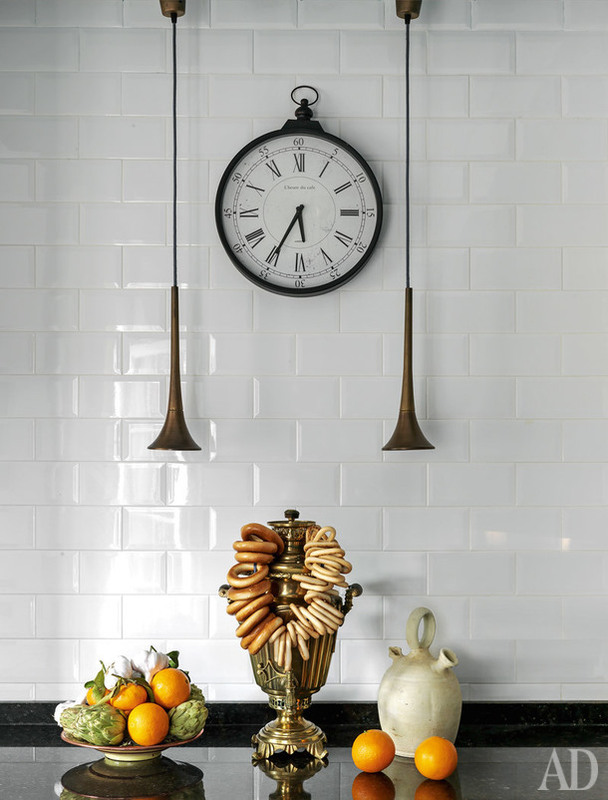 The mix of cultures and design traditions spans the entire apartment. And as hater of bare walls, I just love all this decor. 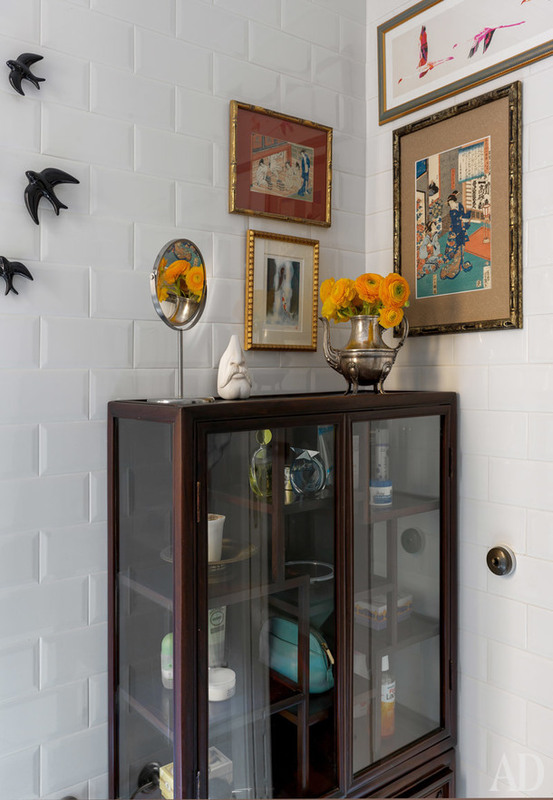 In the bathroom, you can see traditional Spanish and Portuguese golondrinas – swallows alongside a collection of Japanese ukiyo-e prints. The entry way on the other photo is decorated with a France-inspired gallery wall. 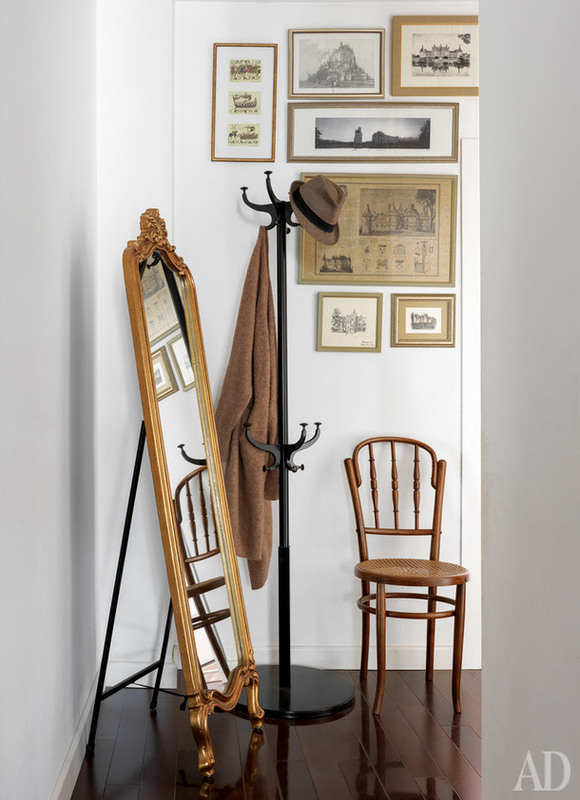 Vintage and antique furniture is another highlight of this Valencia home. 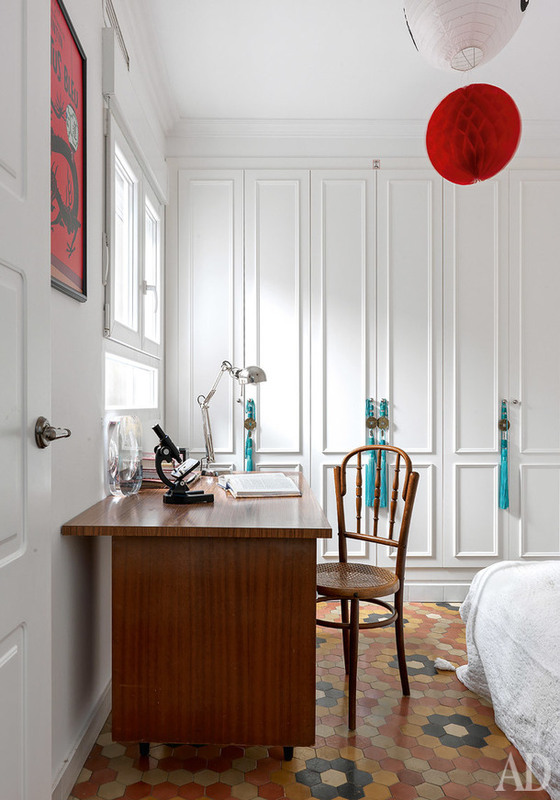 Some of it was bought from antique stores, but as mentioned before, many items are family heritage, including the desk in the younger son’s room, which has been in the family since his great grandfather, who used to be a teacher. What do you guys think? 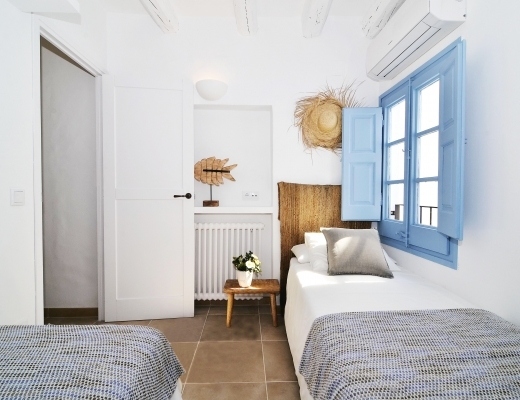 It is places like these that inspire us to mix up different cultures and eras, right? And it’s also a very personal approach to design, it’s not about trends, it’s about creating a home, that would reflect your personality and your family history. Basically, this is what home design should be about, I think. Oh, and if you’re a Russian speaker, don’t forget you can read about this home in AD Russia.